Mountain Weather: What does Probability of Precipitation Mean? What does Probability of Precipitation Mean? (Re-posted from original article that appeared in the Jackson Hole News & Guide's Mountain Weather column, July 23, 2014). From where I sit, thunderstorm forecasting during the summer season is quite challenging, and on par with snowfall forecasting in the winter. Nailing down where, when and how strong the thunderstorms might be is as difficult a task as deciding where, when and how much snow will fall in the winter season, throughout the Jackson Hole area. By definition, if there is thunder, there is lightning. And with any thunderstorm, it is implied that there could also be heavy downpours, and/or gusty winds, and/or hail involved. Or, all of the above! In this week’s column, I will give you some insight into how those forecasts are made, and what they really mean. Maybe that will help you when planning your next outdoor activity. Most weather forecasts will provide you with a “probability of precipitation”, or PoP, which might say something like: “30-percent chance of showers today”. That is often interpreted to mean, “it is going to rain for 30-percent of the day”, or “30-percent of the area will get precipitation”. Actually, neither of those is totally accurate. The correct meteorological translation of “Probability of Precipitation” is: “The likelihood of occurrence of a measurable amount of precipitation (at least 0.01 inches) at any given point within the forecast area.” The same could be said for the probability of thunderstorms occurring. 1) There is 100-percent confidence that precipitation will occur, but only 30-percent of the area will get it. (PoP= 1 x .30 = .30 or 30-percent chance). 2) There is only 30-percent confidence that precipitation will occur, but if it does occur, it will produce precipitation over 100-percent of the area. (PoP = .30 x 1 = .30 or 30-percent). Either way, you should interpret a 30-percent chance to mean: there is a 30-percent chance precipitation (or thunderstorms) will occur at any given point within the forecast area. You could also interpret that to mean that there is a 70-percent chance there won’t be any precipitation (or thunderstorms) where you are. Nowadays, computer models generate the POP’s and chances for thunderstorms. In some cases, the local forecaster’s experience will get factored into the equation, as well. What you should look for in the forecast before heading out the door for the day is how certain or uncertain the forecast sounds to you. In other words, if the POP or thunderstorm probability is quite high, 70-percent or greater, that means the computer model, and/or the forecaster is highly certain about what will happen during the forecast time period, and the odds are good that the forecasted weather will materialize. “Slight chance”, “Chance”, “Possible”, or “Likely” are all uncertain descriptive terms that can be used interchangeably for the percent probability in the text of the forecast. (See the table). If no uncertain terms or probability numbers are used, then certainty is high, such as, “Thunderstorms today”, or “Showers this afternoon”. Take that to mean the probability of occurrence is greater than 80 percent. Arm yourself with the latest weather forecast before you launch on your next outdoor adventure this summer, then keep an eye on the sky to see how well those probabilities are panning out, I guarantee it will be different everyday. Precipitation or thunderstorms can happen when the POP is 20-percent, and they can miss you completely or never materialize when the POP is 70-percent. Especially in the mountains, I would treat any mention of showers or thunderstorms in the forecast to mean, “be-on-the-lookout” that day. The higher the percentage, the more likely you will get wet, but I still carry my raincoat on a 20-percent PoP day. 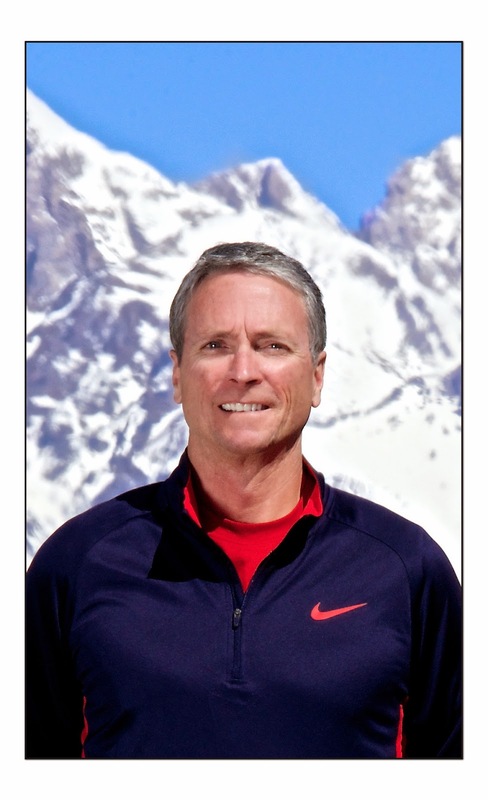 Jim is the chief meteorologist at mountainweather.com and has been forecasting the weather in Jackson Hole and the Teton Mountains for over 20 years.